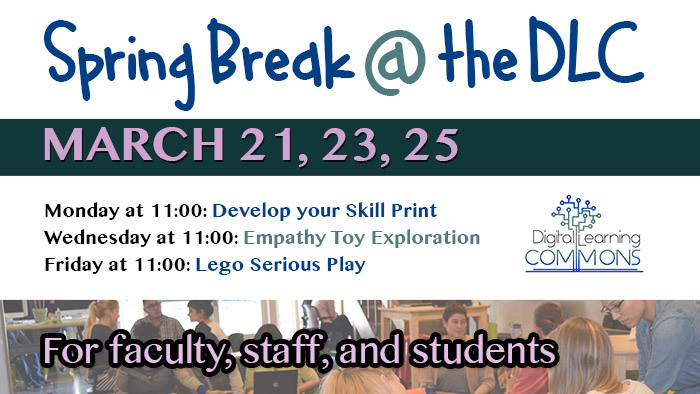 Join us for three opportunities to “play” at the Digital Learning Commons this spring break! We are busting out our crayons and markers and giving you a chance to design a colorful topographical map of your developed and emerging skills. Used by the Stanford D-School, this exercise is not only fun, it is a great tool to learn and share! The Empathy Toy is a unique toy for stretching your creativity and practicing communication. There are hundreds of ways to play, but all will give you a fun opportunity to laugh and learn. 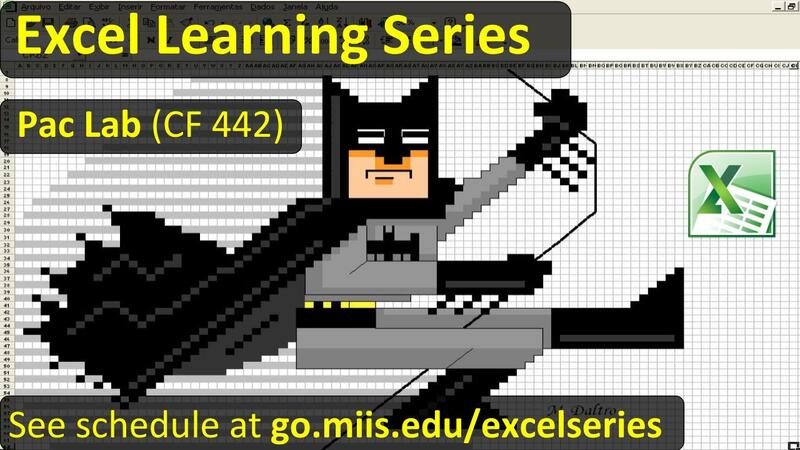 Join us as we break out our “Serious Play” lego sets! 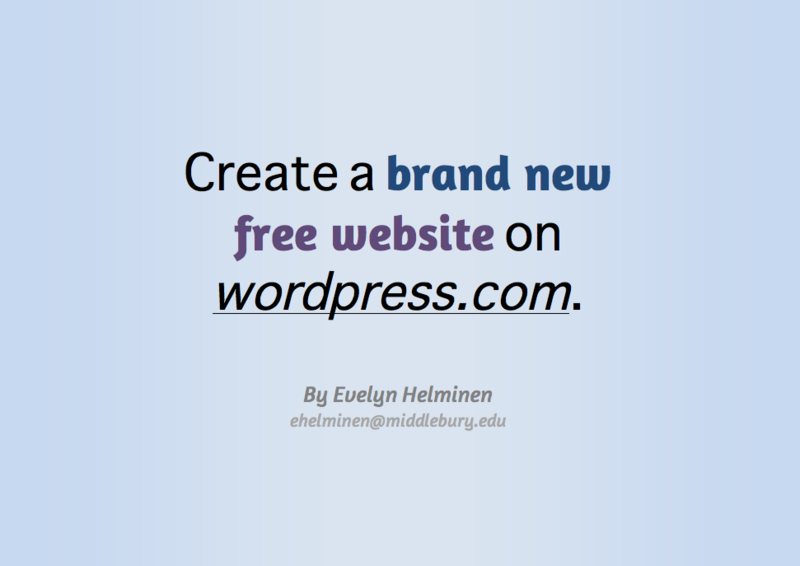 We will provide plenty of creative prompts for building and reflecting. There will be music (of course) and lots and lots of legos. 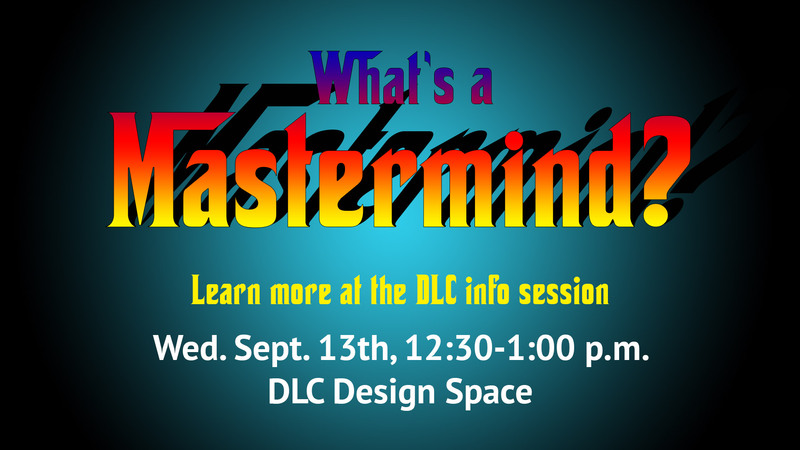 All sessions will take place in the Digital Learning Commons Design Space MG001. Bring a friend and play!